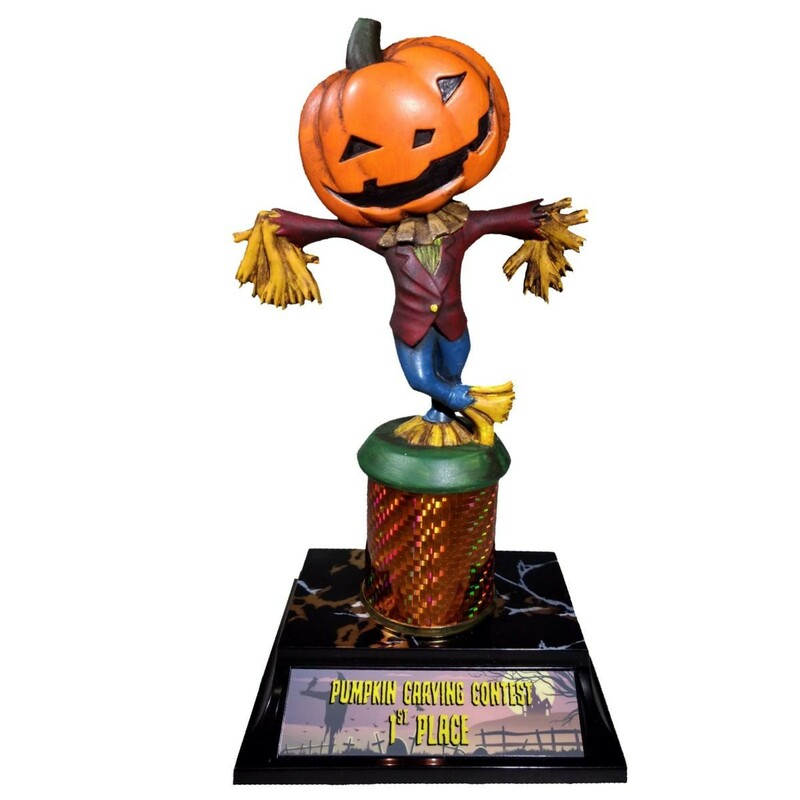 Our Jack-O-Lantern Scarecrow Halloween Contest Awards make the perfect prizes for your Halloween Party! These Halloween trophies are hand painted and one of a kind, special to the winners of your costume contest. A colorful scarecrow with a pumpkin head stands on a sparkling orange column. The black base features 3 lines of your customized text for free! This Halloween trophy stands over 8" tall.